How would you feel if you saw your favorite park deteriorating before your very eyes due to the change in our climate? 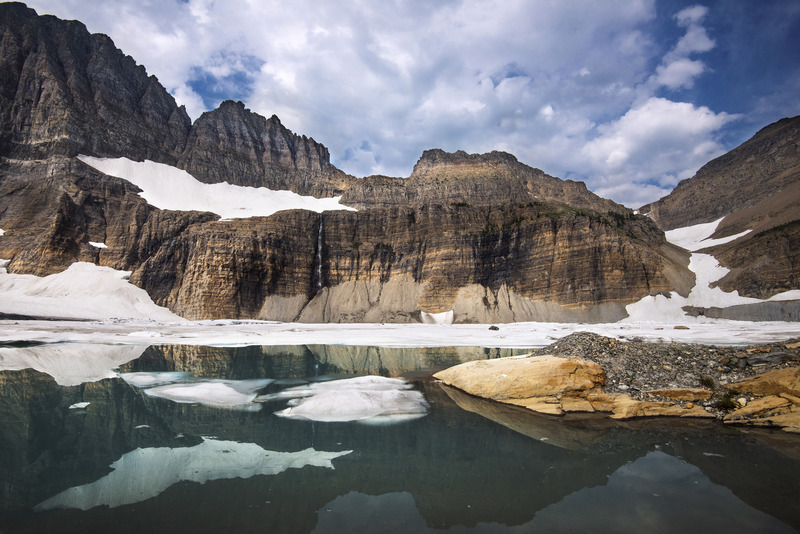 The glaciers of Glacier National Park are melting at such a rapid pace that will ultimately change the entire scenery and imagery of the park within a few decades. This irreversible impact may eventually affect the attraction of visitors and possibly even the name of the park. Situated on the border of Montana and Alberta, Canada, Glacier National Park, which spans of about 1,600 square miles through the mountain state, was home to about 150 glaciers that were once present by the time the park was established as the nation’s 10th national park in 1910. 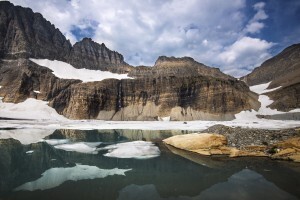 Researchers say that the glaciers have been around for more than 7,000 years before the establishment of the park. 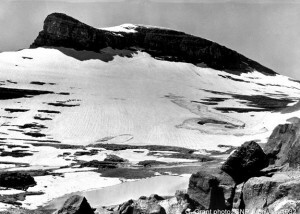 Top left, Boulder Glacier in 1932 (Photo by George Grant, courtesy of Glacier National Park Archives). Below left, Boulder Glacier in 2005 (Photo by Greg Pederson). That glacier number has decreased significantly within the last 100 years. By 2010, only 25 glaciers remain in the park and those that remain continue to rapidly decrease in size and mountain coverage. It is estimated by scientists and climate experts that all glaciers in Glacier National Park will have melted by the year 2030. That statistic is due to the continual increase of the mean global temperatures. Igor Kamenkovich, climate expert and associate professor at the Rosenstiel School of Marine and Atmospheric Science at the University of Miami, said that the melting of the glaciers is a direct cause of global warming. “There is convincing evidence that the glaciers are melting all over the world, and this melt is inhibiting to the sea level rise,” Kamenkovich said. In order for the glaciers to keep their ice, the snow that falls during the winter must freeze into glacial ice to replace the ice that melted during the summer. Now, the snow that freezes and forms the glaciers are melting significantly faster when summer comes due to the rising temperatures, which decreases the area of the glacier. At right. boaters on Bowman Lake. 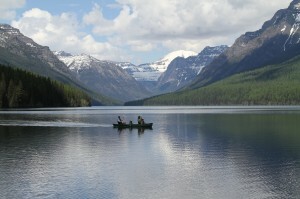 Below, Upper Grinnell Lake (Photos courtesy of Glacier National Park). The glacial winter is getting warmer, which leaves no time for the process to occur. These glaciers then turn into streams and lakes that flow through the mountains, and the increase in air temperature increases the temperature of the bodies of water. 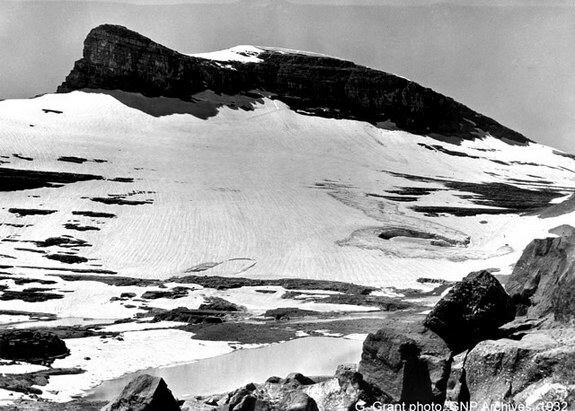 These warmer glacier winters have a huge impact on the park’s ecosystem. The animals that once relied on the cold water during the wintertime are starting to retreat to colder areas in order to survive. For example, animals like the western glacier stonefly, an aquatic insect indigenous to Glacier National Park, are seeking higher elevation away from the warmer waters in order to survive. Soon, the stoneflies and other species in the park that rely on cold water will have nowhere to retreat. Denise Germann is a public affairs specialist for Glacier National Park and has held that position since 2011. The warming may also have an effect on people who make their living providing services for tourists who are drawn to the park. 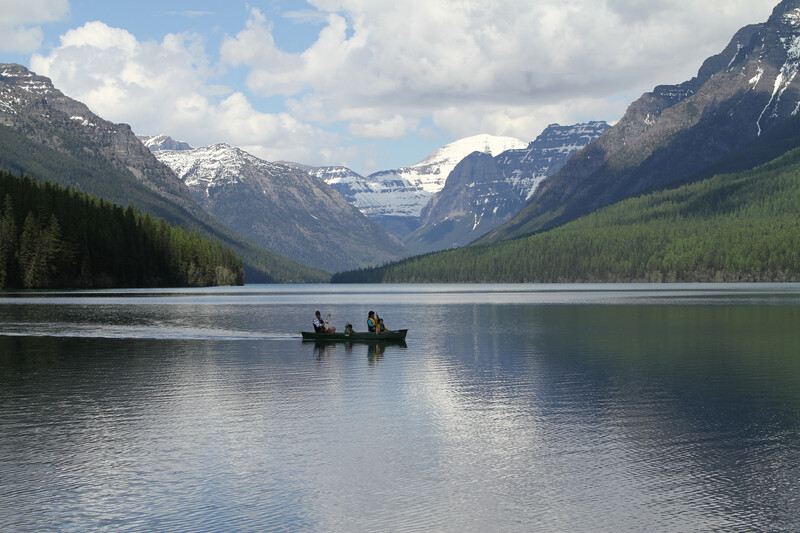 Visitors preparing for a tour of Hidden Lake Nature Trail (Photo courtesy of Glacier National Park). 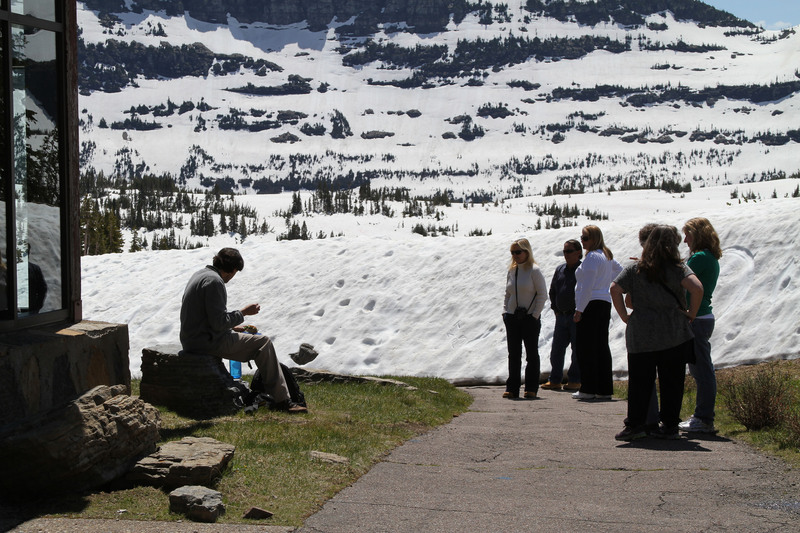 Business owners who have relied for years on people who come to the park specifically for the glaciers to either ski or hike or take in the scenery may now have to come up with other ways to support themselves and their businesses due to the rapid melting. 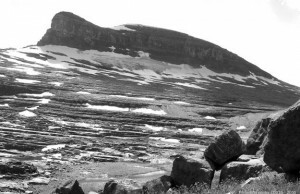 It will be interesting to see what these climate change effects will have on Glacier National Park in the near future. Will the park ultimately see a decrease in visitors? Or will they see an increase as people are rushing to Glacier National Park to see the only glaciers left? Germann feels this has impacted park visitation.